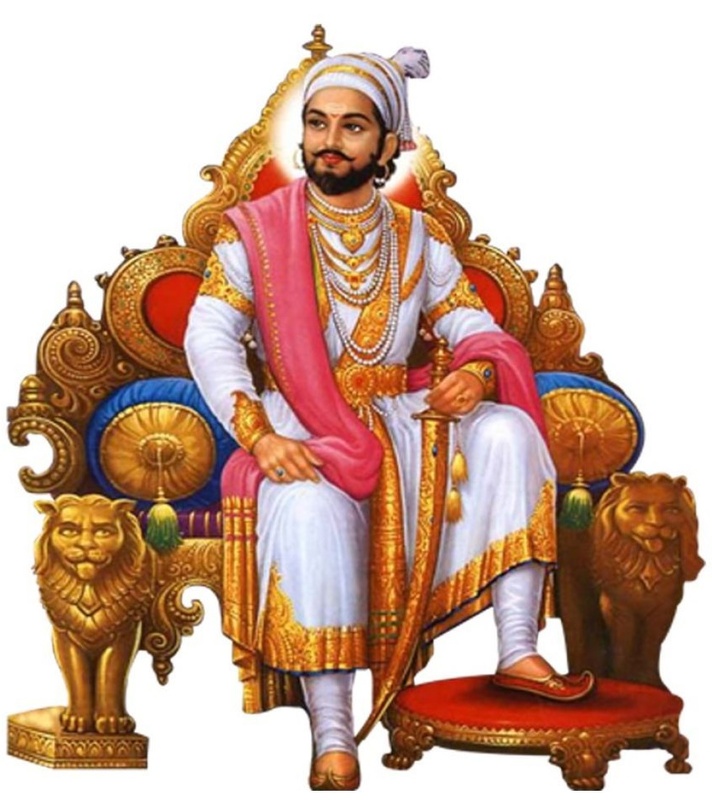 Chhatrapati Shivaji Maharaj (Shivaji Shahaji Bhosale) was the founder of strong Maratha empire. In the west part of India in 17th Century. Chhatrapati Shivaji Maharaj was well known for his forts and Naval Force. Shivaji is considered to be one of the greatest warrior of his time and even today. It eventually became the genious of the Maratha Empire. 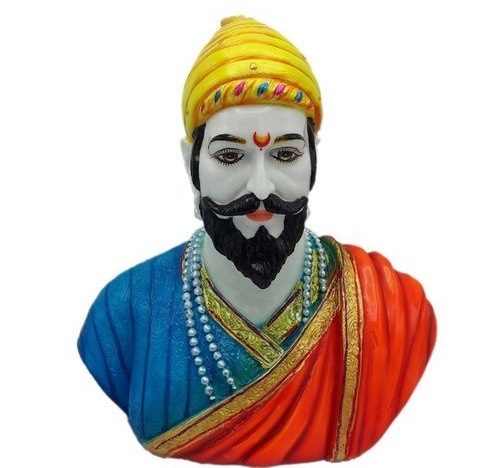 Chhatrapati Shivaji Maharaj (Shivaji Shahaji Bhosale) was born in the fort of Shivneri,near from city Junner (Pune District), in the year 1630 (19th February’ 1630). His motherJijabai Bhosale named him Shivaji in the honor of goddess Shivai Devi. Chhatrapati Shivaji was devoted to his mother Jijabai Bhosale, who was extremereligious. These kind of environment had put deep impact on Shivaji maharaj. Holyhistory books of hindu Ramayan and Mahabharat read by Shivaji very carefully. Shivaji Maharaj was married to Saibai Nimbalkar in 1640. It was the first fort captures by Shivaji Maharaj as Chieftain of Marathas which led the foundation of his ruling attributes of valour and determination at the age of 16. This conquest drives him to capture another like Raigarh and Pratapgarh. Due these conquests, the Sultan of Bijapur was get panic and he put Shahji, Shivaji’s father in prison. In the year 1659, Shivaji Maharaj again tried to attack Bijapur then the Sultan of Bijapur sent his general, Afzal Khan, to capture Shivaji. But Shivaji was manage to escape and killed him with a deadly weapon called Baghnakh or tiger’s claw. Finally, in 1662, the Sultan of Bijapur made peace treaty with Shivaji and made him as an independent ruler of his conquered territories. It was under the control of Nilkanth Rao. It was fought between Tanaji Malusare, a commander of Maratha ruler Shivaji Maharaj and Udaybhan Rathod, fortkeeper under Jai Singh I. 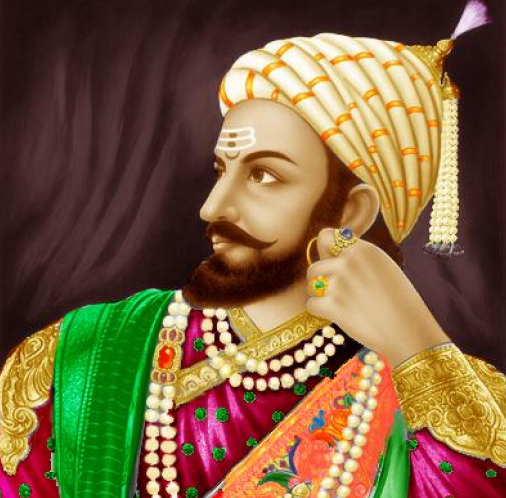 In year1674, Shivaji declared himself as independent ruler of Maratha Kingdom and crowned as Chhatrapati at Raigarh. His coronation symbolise the rise of people who challenges the legacy of Mughal’s. After the coronation, he gets the title of ‘Haidava Dharmodharka’ of newly formed state of Hindavi Swarajya. This coronation gives legitimate right to collect land revenue and levy tax on the people. Shivaji’s administration was largely influence by Deccan administrative practices. He appointed eight ministers who were called ‘Astapradhan’ who assists him in administrative helm of affairs. Peshwa were the most important ministers who looked after the finance and general administration. Senapati were one of the leading Marathas which was basically post of honour. The Wakenavis is one who looks after the intelligence, post and household affairs. The Surnavis or chitnis assist the king with his correspondence. The Dabir was the master of ceremonies and helps the king in his dealing with foreign affairs. The Nayayadish and Punditrao were in charge of justice and charitable grants. Chhatrapati Shivaji Maharaj levies tax on the land which was one-fourth of the land revenue i.e. Chauth or Chauthai. Chhatrapati Shivaji Maharaj was not only proved to be an able general, a skilful tactician and shrewd diplomat, he also laid the foundation of a strong state by curbing the power of the deshmukhi. Hence, the rise of Marathas was due to economic, social, political and institutional factors. To that extent, Shivaji was a popular king who represented the assertion of popular will in the area against Mughal encroachment. Although, Marathas were ancient tribes but 17th century give them space to declare themselves as ruler. Chhatrapati Shivaji began his early career of conquests at the age of nineteen by capturing the fort of Torna, about twenty miles from Puna. After this Shivaji Maharaj conquered other forts like Chakan, Singhagarh and Purandar, situated within the territories of the Sultanate of Bijapur. In order to put pressure on Shivaji the Sultan of Bijapur imprisoned Shahaji Raje Bhosale, Shivaji’s father. After that Shivaji kept quiet for a few years. Shahaji Raje Bhosale was released by the Sultan. But Shivaji again started his activities of conquest. By 1655 Shivaji had occupied the northern part of Konkon and the fort of Javali. These acquisitions provoked the Sultan of Bijapur who sent against Shivaji in 1659 a large army under a senior general named Afzal Khan, with instructions to bring Shivaji to the court dead or alive. In a clash between Afzal Khan and Shivaji, Afzal Khan was killed by Shivaji. The army of Shivaji defeated the Bijapuri Sultanate in the Battle of Pratapgarh (November 10, 1659). Huge quantity of weapons and war-materials were collected, which further strengthened the Maratha army. This success gained him much reputation among the Marathas. He became a Hero. The Sultan of Bijapur again sent a large army, under the leadership of Rustam Zaman, which also failed to curb the power of Shivaji. The battle took place on December 28, 1659. The Maratha army of Shivaji defeated the Bijapuri army in the Battle of Kolhapur. A large number of horses, elephants and warfare materials were gained by the Marathas. In year 1645, Shivaji acquired control of several strategic from under the Bijapur Sultanate around Pune – Torna from Inayat Khan, Chakan from Firangoji Narsala, Kondana from Adil Shahi Governor, along with Singhagarh and Purandar. 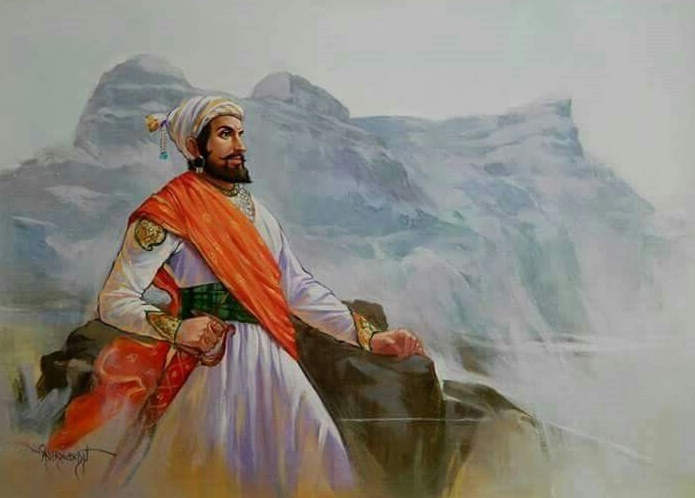 Following his success, Chatrapati Shivaji Maharaj had emerged as a threat for Mohammed Adil Shah who gave the order to imprison Shahaji in 1648. Shahaji was released on condition that Shivaji kept a low profile and kept from further conquests. Shivaji resumed his conquests after Shahaji’s death in 1665 by acquiring the valley of Javali from Chandrarao More, a Bijapuri jaigirdaar. Mohammed Adil Shah sent Afzal Khan, a powerful general in his employ to subdue Shivaji. The two met in a private rendezvous on 10, November 1659 to discuss terms of negotiation. 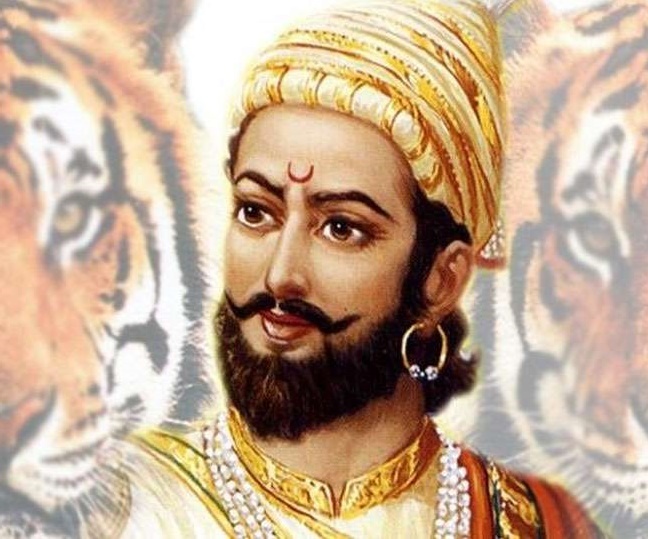 Chatrapati Shivaji Maharaj anticipated it to be a trap and he arrived prepared wearing armor and concealing a metal tiger claw. When Afzal Khan attacked Shivaji with a dagger, he was saved by his armour and Shivaji Maharaj retaliated by attacking Afzal Khan with the tiger’s claw, mortally injuring him. Shivaji Maharaj ordered his forces to launch an assault on the leaderless Bijapuri contingents. Victory was easy for Shivaji in the Battle of Pratapgarh, where around 3000 Bijapuri soldiers were killed by the Maratha forces. Mohammed Adil Shah next sent a larger army under the command of General Rustam Zaman who faced Shivaji in the Battle of Kolhapur. Shivaji Maharaj secured victory in a strategic battle causing the general to flee for his life. Mohammed Adil Shah finally saw victory when his general Siddi Jauhar successfully sieged the fort of Panhala on September 22, 1660. Shivaji Maharaj recaptured the Fort of Panhal later in 1673. Emboldened by his success Chhatrapati Shivaji began raiding Mughal territories in 1657. Aurangzeb felt the necessity of chastising him and sent a big army under Shaista Khan. Chhatrapati Shivaji occupied Puna and encamped there. One night Shivaji made a surprise attack on Puna. A large number of Mughal soldiers were killed and Shaista Khan had a narrow escape. Thereafter, in year 1661, Kartalab Khan was sent to counter Shivaji. In the Battle of Umberkhind, the large Mughal forces were defeated by relatively smaller forces of the Marathas. After this incident in 1664, Shivaji sacked Surat and carried off a huge booty. The administrative system of Shivaji was largely borrowed from the administrative practices of the Deccan states. It was also influenced by the principles laid down in Kautilya’s Arthasastra and the Dharmasastras. In the discharge of his duties he was assisted by a council of ministers. Shivaji Maharaj divided the territory under his direct rule (which he called the Swaraj territory) into a number of provinces. The ancient institution of the Panchyat was preserved in the rural areas. The head of the village, administered the village with the help of the panchyat. Shivaji Maharaj laid down an excellent revenue system based on the principles adopted by Todar Mal and Malik Ambar. His officers made an elaborate survey of the land and fixed the rent at 33 per cent of the gross produce. Shivaji Maharaj afterwards demanded a consolidated rent of 40 per cent. It is however, wrong to assume that Shivaji abolished the jagirdari system. Initial days of his reign, Chatrapati Shivaji Maharaj maintained cordial relationships with the English till they supported the Bijapuri Sultanate in a confrontation against him in the capture of Fort of Panhala in 1660. So in 1670, Chatrapati Shivaji Maharaj moved against the English in Bombay for them not selling him war material. This conflict continued in 1971, when again the English refused their support in his attack of Danda-Rajpuri, and he looted the English factories in Rajapur. Numerous negotiations between the two parties to come to term failed and the English did not lend their support to his endeavors. His name is not derived from Lord Shiva but in fact a regional deity by the name of Shivai. He had many Muslims in his military ranks as well. But he never compromised on his own religious roots and tried reviving all the positive aspects of Hinduism. In fact, he even offered his assistance to Aurangzeb in conquering Bijapur. He converted his army of 2,000 men into 10,000 soldiers. He was smart enough to establish a navy to protect the coastline. He defeated Afzal Khan in a one-on-one battle. Afzal Khan was a veteran general and superior to Shivaji in size & strength. Chhatrapati Shivaji Maharaj was died on April 3, 1680. 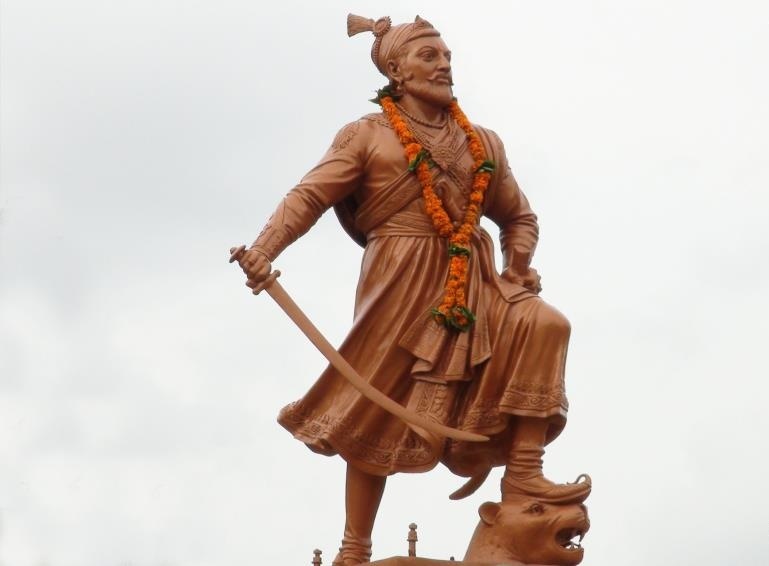 After the death of Shivaji, his son Sambhaji Maharaj(1680-1689) succeeded him. After the death of Sambhaji , his brother, Rajaram Maharaj, assumed the leadership of Maratha Empire and continued the struggle.